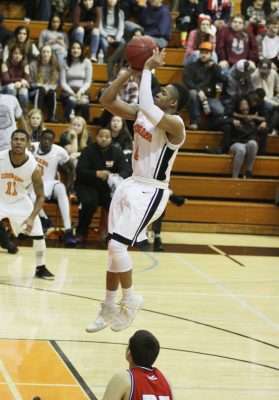 The Lassen Community College men’s basketball team decided to take the brutal route during their home game against the College of the Siskiyous’ Eagles Wednesday, Jan. 17. 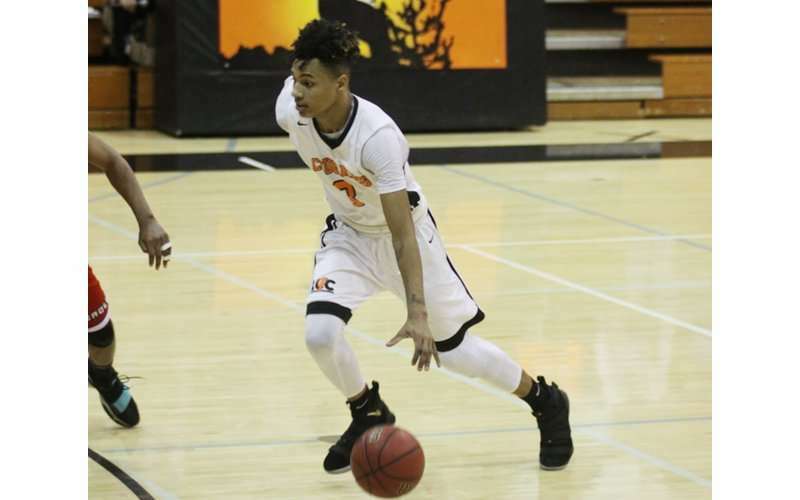 Since starting the Golden Valley Conference, the Cougars have struggled to earn a win; however, the tides certainly changed during the Jan. 17 game. Lassen ended the game on top with a final score of 82-72 to spark an uproar of cheers from the stands. Prior to hosting the Eagles, Lassen traveled to Feather River College Saturday, Jan. 13 to try their hand against the Golden Eagles. Unfortunately, the gusto seen from the Cougars during the Jan. 17 was not present for their second conference match. The final score against Feather River was 95-77, Golden Eagles. Lassen finished the first half down by 22 points against the Golden Eagles. 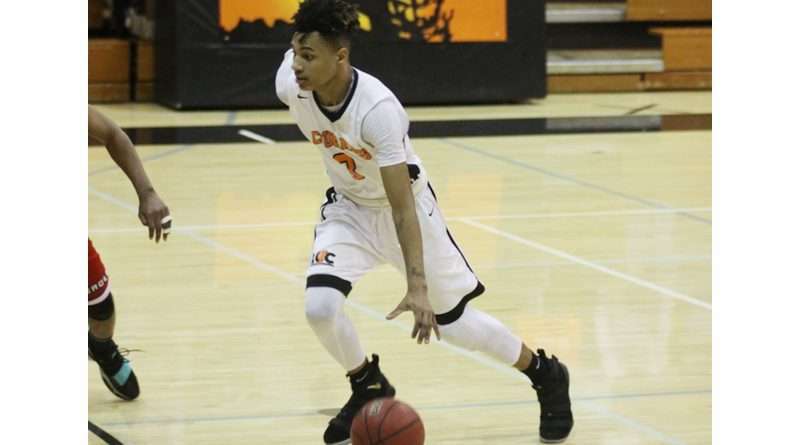 They then moved on to the second half in which they outscored Feather River 40-36, but the second-half success wasn’t enough to take the win. Leading the team against the Golden Eagles was Kameron Brandon with 28 points to his credit as well as seven rebounds and three assists. Xavier Lovelace scored 15 of the Cougar points, had nine rebounds and one block. Unwana Ekiko brought in 11 points with seven rebounds, three steals and 10 assists. As seen from the Feather River game, one of the most prominent downfalls of the Lassen team is their struggle to get their heads in the game before halftime. However, though the Cougars struggled in the first half of the home game against College of the Siskiyous, it simply wasn’t enough to keep the Cougars from the win. Lassen had a solid scoring spree in the first half of the game, but the slump hit the boys before the half was done. By the end of the first half, Lassen was barely holding onto the lead 39-37. The Cougar funk stuck around for the beginning of the second half as the first to score was a Siskiyous Eagle at 19:30, thus tying up the score at 39-39. The Eagles then swooped in to steal the lead with 18 minutes remaining of the game with a two-point field goal. Soon afterward, another Eagle basket was made and a set of two good free throws put Siskiyous in the lead 45-39. Kareem Johnson was first to make a basket for the Cougars in the second half, but the Eagles were quick to counter with a two-point field goal of their own at 16:35. Max Denham was the second Cougar eager to reignite the passion within the home team as he stole the ball and hit a layup with 16:12 remaining. The Eagles hit another two good free throws after Denham’s success, but the flame had already started to grow. Lovelace hit a two-point field goal at 15:20, and after being fouled from the three-point line, Denham was granted three free throws and successfully sunk them all. The Eagles snuck in a basket at 14:45, but Brandon was there in a jiffy to counter it with a field goal. Between the seventh and ninth minute, Siskiyous hit a two-point field goal and a three-pointer, and Cougar shooter Ekiko hit a pair of free throws. Ekiko hit another two good free throws with 10 and a half minutes remaining of the game. Moments after, Rikkert De Maertelaere stole the ball from the offensive Eagles and passed to Johnson who immediately hit a layup to bring the score to a 56-56 tie. By the eight-minute mark, the tie had raised to 58-58 as the Siskiyou Eagles hit two good free throws and Brandon had a layup. Within the next 60 seconds, Lassen finally secured the lead after one Eagle free throw was met with two good free throws by Ekiko. DeMario Newman then stole the ball from an Eagle mid-dribble and passed to Ekiko for another layup to Lassen’s credit. At 6:27, a back pass from Ekiko to Brandon resulted in a two-point field goal from the top of the key. The Siskiyous put in another good free throw, but the effort was hardly worth mentioning after Ekiko stole the spotlight yet again with a basket. Another Eagle free throw brought the visiting team to 61 points, but a basket from Denham kept the Cougar crowd on their feet. As the game entered its final three minutes, a score of 70-65, Lassen lit up the gym. Ekiko brought in another two points via a basket at the top of the key with 2:56 on the clock, but the Eagles weren’t ready to give up. Siskiyous hit a basket at 2:04, and after a three-pointer by Lovelace, the Eagles hit a three-pointer to bring their point tally to 70. In the final 63 seconds of the game, Brandon hit a layup, Denham had a good free throw, Ekiko had a good basket after finding himself free of Eagle defense, the Siskiyou Eagles hit their final basket and Ekiko finished the game with two good free throws.